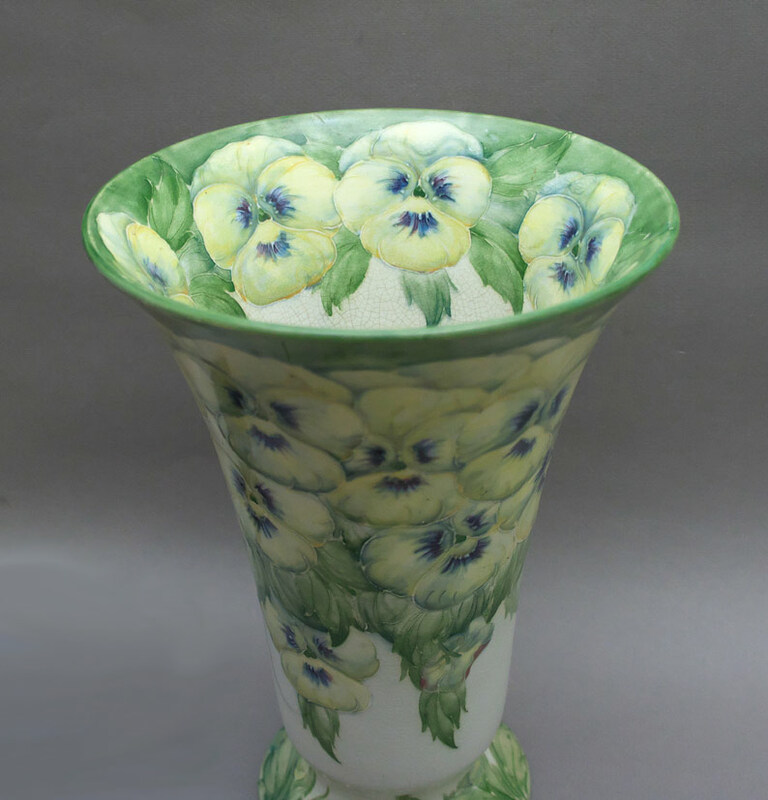 A large Moorcroft Pansy pattern pottery vase signed in green, ‘William Moorcroft 1912’. 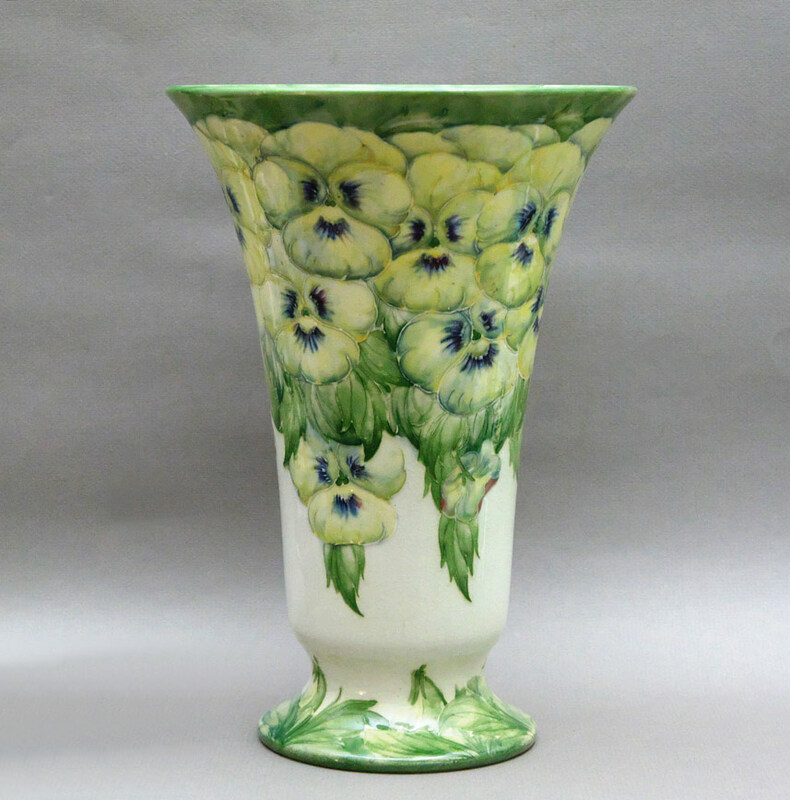 One of the earliest examples of this pattern, previously thought to have originated in 1913 when William Moorcroft founded the Moorcroft ‘brand’. 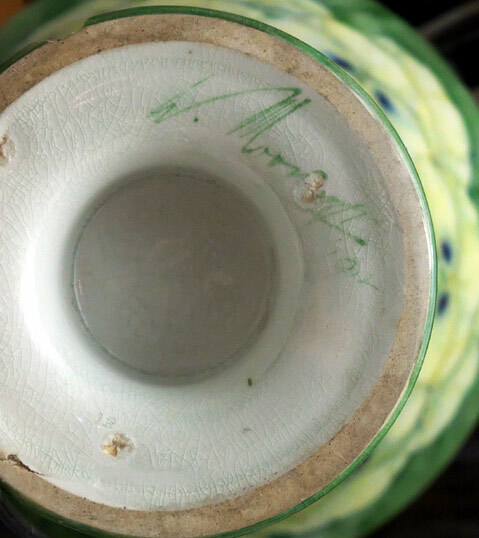 This vase was probably produced during William Moorcroft’s final days with MacIntyre.